Archer TV show image. Credit: FX. The seventh season of FX‘s Archer TV show ended with a cliffhanger finale, which leaves the title character’s fate in question. 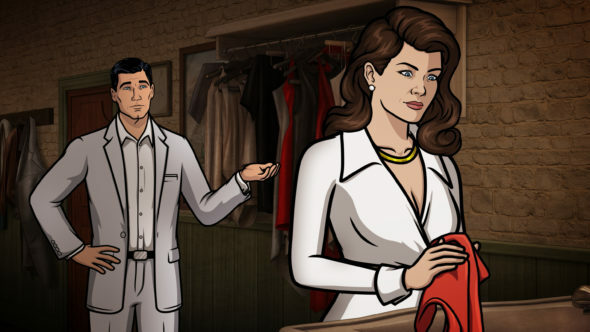 Archer has not been cancelled, but has not yet been renewed for an eighth season. Last month, FX reduced the animated spy drama’s season seven episode order from 13 to 10. The Daily Beast‘s Marlow Stern asked Archer EPs and Matt Thompson and Casey Willis about a full-length Archer feature film. While the duo said it is up to creator Adam Reed, the subject does arise. If its made and if it is live-action, they’d love to cast Mad Men‘s Jon Hamm as Sterling Archer, perhaps with H. Jon Benjamin’s voice. When I asked Reed back in 2014 about casting Archer—who was modeled after real-life ex-model Jason Fitzgerald—in a potential live-action film, well, his mind went to Jon Hamm, too. Heck, there’s even a Tumblr called Sterling Archer Draper Pryce that mashes up Draper scenes with Archer quotes. Archer TV show, season seven on FX. 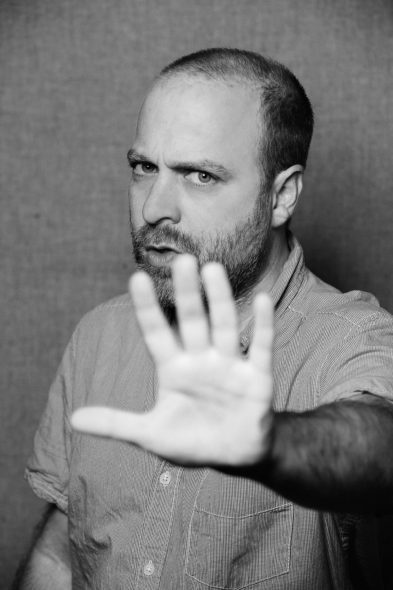 Pictured: Sterling Archer (voice of H. Jon Benjamin). CR: FX. What do you think? Are you a fan of the Archer TV series? Would you like to see Jon Hamm play a live-action version of Archer?